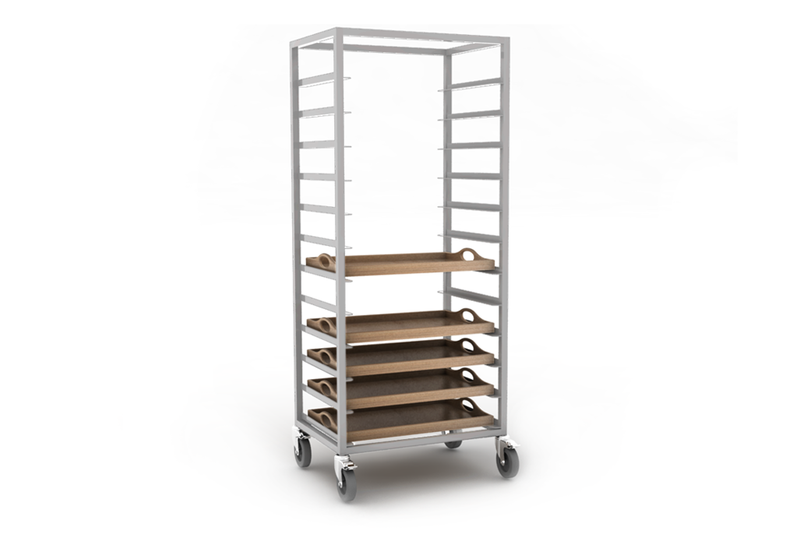 A super durable, fully welded Gastronorm trolley. Each trolley is made to order and we offer complete flexibility in the configuration of the shelves and columns to accommodate large Butler, Sheraton, Oriental and Modern Trays. Recommended clearance between runners is 120mm for fully prepared room service trays.